The Nebraska Dressage Association is a Charter GMO (Group Member Organization) of the United States Dressage Federation (USDF), established in 1973. Its guiding purpose is to promote dressage by providing educational materials and sponsoring clinics, workshops, and horse shows. NDA is the only GMO in the state of Nebraska. Plus, you'll be part of a growing family of equestrian enthusiasts in the heartland—the birthplace of organized dressage in the United States! Join NDA today and welcome to the family! WHAT KIND OF USDF BENEFITS COME WITH MY NDA MEMBERSHIP? e-TRAK, USDF’s online learning center for dressage and equine education. Through one convenient location, access hundreds of educational resources, engage in structured learning activities, and earn USDF University Program credit! NDA's membership year runs from December 1 to November 30 of the following year. Can I join at a horse show? If it is an NDA-run show (ex: Cornhusker Classic, Schooling Show Championships) then yes, definitely! If it is an NDA-sponsored horse show (ex: Shaggy Show, Providence Farm, etc) and there is an NDA representative on site, then yes. If you are unsure, please contact info@nebraskadressage.org to make sure. 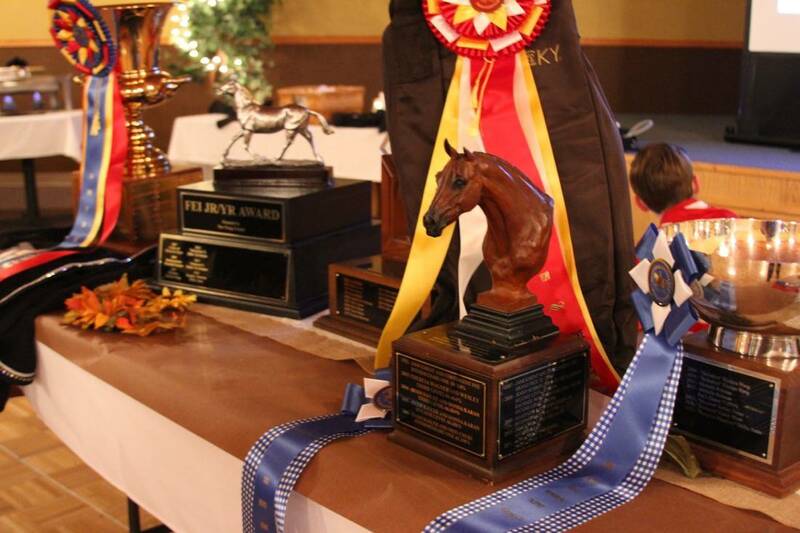 REMEMBER: In order for your scores to qualify for NDA year-end awards, you AND your horse must both be registered with NDA before you ride. It's always better to be safe than sorry, so remember to renew BEFORE you get to the show! How do I participate in the Year-end award program? Scores must be earned between between Oct 1 of the previous year and Sep 30 of the current year. ​How can I volunteer for NDA? If you are participating in the year-end awards program, you are required to volunteer at least 6 hours* at an NDA event. But even if you're not competing for awards, we would LOVE to have you volunteer at our events! It's always fun and often a fantastic learning opportunity. 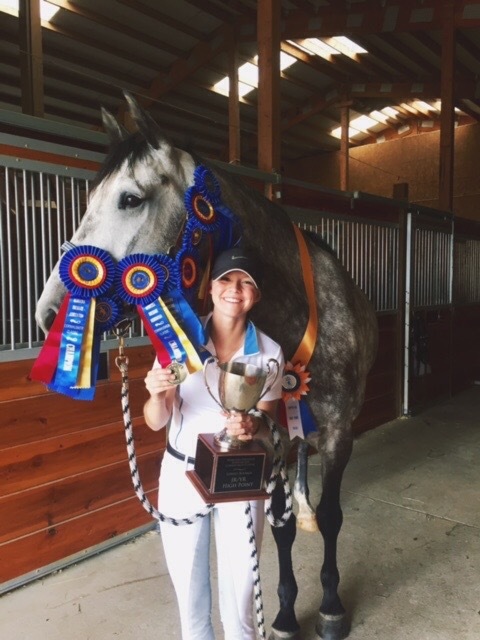 ​Horse shows need a whole bunch of volunteers in order to make the show happen, and most showrunners are eager for new volunteers. Just contact the show's manager for any show and they'll be able to point you in the right direction. Make sure to sign up to volunteer ahead of time instead of just turning up on the day. This way, volunteer coordinators know how to schedule all the volunteers. Clinics and other educational events also often need volunteers. If you see an event coming up on our calendar that you'd like to volunteer for, just contact the Education Committee and they'll be glad to hear from you! If you're interested in volunteering for NDA on a more general level (rather than at an event), consider joining a committee or the NDA Board of Directors. See our committees here, and please feel free to email any of the committee Chairs or info@nebraskadressage.org for more details. What is the NDA Board of Directors? NDA's Board of Directors is the governing body of NDA. It's a group of nine people who are elected to the board by the NDA membership, and who are dedicated to shaping NDA into the best, most educational, most successful dressage organization it can be. Every year, an election is held in November at the Annual Meeting and Year-End Awards Banquet, and board members are voted in to alternating three-year terms. The NDA Board meets once a month to discuss NDA business, rule changes, finances, events and general management. All NDA members are welcome to attend board meetings (find the next one on our calendar), and minutes from the meetings are posted on this website for members to review. If you have any concerns, suggestions, ideas, or other feedback for the NDA Board, they would love to hear from you! Find their contact information here and drop them a line. Are you interested in joining the board? Learn more here. Where can I find financial information for NDA? NDA's finances are discussed at every NDA Board meeting, and fully disclosed in the minutes of each meeting, posted here for members to review. What shows and events are coming up? Check out our Calendar for all the events that are coming up in our horse community! Or, find out more specifically about NDA-recognized dressage shows, educational events, or the year-end banquet. Is there a newsletter or mailing list I can join? Issues of our bi-monthly e-newsletter, The Contact, can be found here. The Contact will be emailed directly to you as part of your membership to NDA. You can also join our email list to opt in for all the latest news, updates, and local opportunities from NDA. For a taste of the kind of emails we typically send out, check out our email archives here. I'm looking for a dressage trainer or want to take lessons. Can you help? I have a question about the rules at a dressage show. Are you wondering if your equipment/apparel/training method/etc is "show legal" for a dressage show? NDA shows follow the USEF Rule Book for all our shows (both USDF-recognized and school shows). Make sure to consult the rule book for any questions you might have before show day. We also include a couple of helpful links to recent rule changes on our External Resources page, so check that out, too. If you have questions about a specific show which you cannot find addressed in the USEF Rule Book, please contact the show's manager directly. Better to ask than assume...especially in advance of the show. I can't remember if my horse is registered with nda. When you register your horse with NDA, it is a Lifetime Membership. So if you've ever registered your horse in the past, you don't need to do it again. If you're not sure if your horse is already registered with NDA, please email our Membership Coordinator to double-check. What is my NDA membership number? It's the same as your USDF membership number. But if you're not sure, please just email our Membership Coordinator to ask.